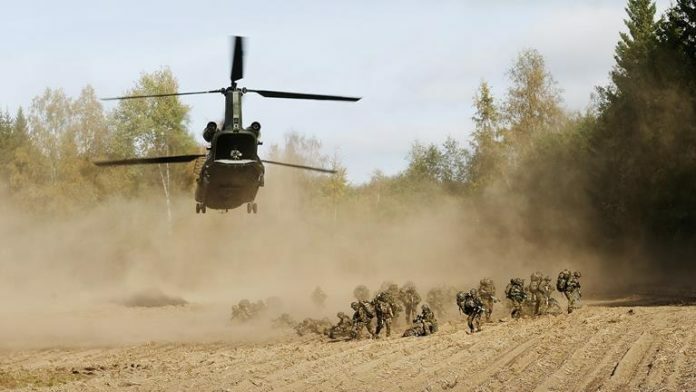 NATO and Norway are preparing for one of the largest military exercises ever held in the country, Trident Juncture 18. Norway is alerted for increased espionage activities. 40,000 participants, 130 aircraft and 60 vessels from more than 30 nations – this is NATO’s exercise Trident Juncture 18. This October and November, more than 40,000 participants from all over NATO and its partners will be coming to Norway for exercise Trident Juncture 2018. The exercise will test the whole military chain – from troop training at the tactical level, to command over large forces. It will train the troops of the NATO Response Force and forces from other allies and partners, ensuring they can work seamlessly together. Norwegian Armed Forces confirm to VG that they are prepared for increased intelligence activity against Norway in connection with the exercise. Head of the Armed Forces Security Department, Commander Hans Kristian Herland, indicates that the extensive exercise and the scenarios to be trained during Trident Juncture 18 will probably be interesting for foreign intelligence. In addition, the exercise will be used to test new control and communication systems that will probably be an attractive intelligence goal. – The intelligence threats to Norway are already considered to be high, and we expect this activity to increase in connection with the exercise. It is natural in connection with such special events, says Herland to VG. According to Herland, it may be for signal alert from aircraft or ships to sea, satellite surveillance or intelligence personnel on the ground. The use of drones around the exrcise areas is one of the threats. Norwegian Cyber Defence Force also prepares for increased activity and threats to the defence systems during the exercise. In recent years, Norwegian intelligence service is alerted against increasing pressure from Russia against Norwegian networks. China is also among the countries that has a high level of intelligence activity against Norway. This exercise has air, sea and land elements, and Norway offers the possibility to train realistically in all of these domains. The cold and wet weather will pose additional challenges for NATO troops, and will train them to operate in extreme conditions. Norway offered to host Trident Juncture 18, and NATO accepted the offer more than four years ago. Norway has a long tradition of hosting major allied and multinational military exercises. Among them are Cold Response, Dynamic Mongoose and Arctic Challenge.